What is a Platformer Game? A platformer, or platform video game, is one that traditionally features two-dimensional graphics in which players control characters who jump or climb between different platforms on the screen. It's a subgenre of the Action category, which is one of the many different types of video games. You can also think of the platformer as a side-scrolling video game, with the most famous platformerbeing Super Mario Bros. (and all of the many, many sequels), but there are hundreds more, including Jumpman, Pitfall, Sonic the Hedgehog, LittleBigPlanet, Doodle Jump, Sound Shapes, and, my personal favorite, Super Meat Boy. Platformer games are pretty easy to create using Multimedia Fusion and are a great way to get into video game design. Here are some of the basic platform types that you’ll encounter when playing or creating a game of your own. Note, this is just a small sampling of all of the platforms that exist! These can even be mixed and matched with each other to make more interesting and difficult challenges. The standard platform is the building block for the entire game. There are different variations, depending on the which title you play, but the most common feature is that characters can stand on the top and cannot jump through the bottom. 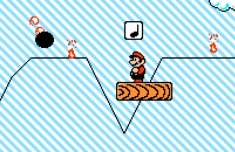 In Super Mario Bros, the standard platform is sometimes breakable, if the character is large. The second most common platform (and sometimes most-common!) is the jump-through. This platform allows single-direction bypass, meaning that players can jump through the bottom and stand safely on the top. 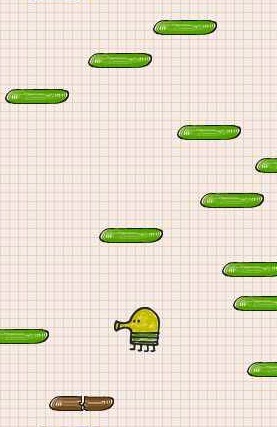 Icy Tower (an iD favorite) and Doodle Jump are almost exclusively jump through platforms. The goal of altering platform behavior is to create an interesting and difficult situation for the player. The player depends on predictable character control and adding new variables enhances the experience. A conveyer belt platform automatically moves the character one way or another, normally toward something perilous. These platforms have been used for decades to (literally) throw off over-confident gamers. Game design can be difficult because although you want to make the game challenging, you cannot make it impossible. Platforms that disappear and reappear give a sense of danger and, if placed well, a set path to success—all without preventing eventual success. 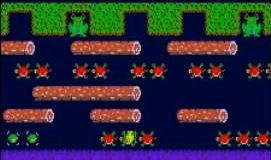 Frogger (which technically is NOT a platformer) has disappearing and reappearing turtles to jump onto on the second half of the game board. Falling platforms are temporary structures that fall or decay after a certain amount of contact with the character. These prevent repeat play, so they are normally used in situations where the player will inevitably have to start over on failure. Nothing is worse than losing an essential path and still being able to play because the platforms don’t reappear! 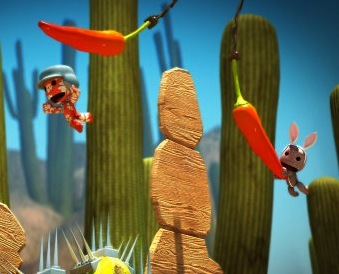 LittleBigPlanet is a revolutionary platformer that incorporates realistic physics into the game. Many of the platforms are leaning or balanced from a rope or other form of suspension. These react to the characters “weight” and movement. 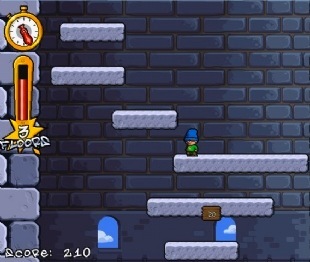 Other games use balanced or leaning platforms as timing puzzles that require the player to move toward peril and jump away at the right instant. Some games, like Sonic the Hedgehog, have entire platforms that bounce (see the Casino Night level!) These can either act like a trampoline, with different bounce heights that build or as a single bouncy experience. Designers use these to compromise the player’s control or to give them access to areas that are difficult to reach with a normal jump. This summer, discover the basics of game design and create your own platform game. 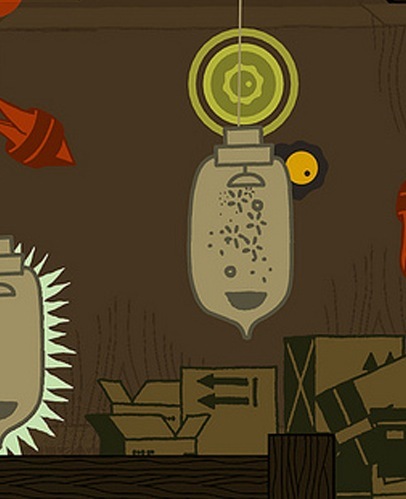 We offer a variety of game design camps for kids and teens. Level up at one of our 150+ prestigious campus locations!